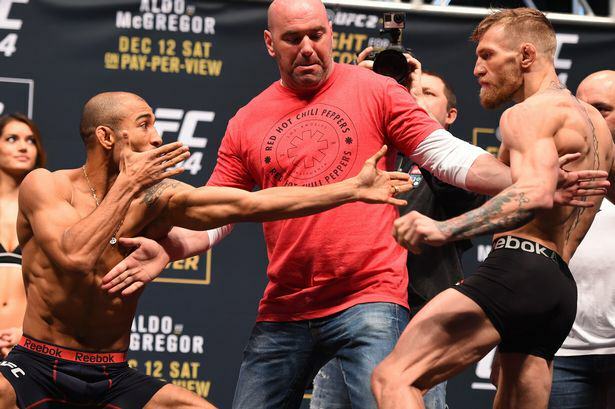 Unsurprisingly, things got very heated indeed between José Aldo and Conor McGregor at the weigh-ins prior to their massive UFC title bout this evening. Just 24 hours before their highly anticipated showdown in Las Vegas, the two featherweights hit the scales in front of a raucous crowd full of travelling Irish fans, and both fighters came in under the 145lbs limit. However, when they squared off for the cameras, UFC President Dana White had to quickly get in the middle of the two fighters before they came to blows too early! After all the trash talk from the Irish superstar McGregor, it wasn’t a shock to see how tense the final pre-fight staredown between the two fighters was. 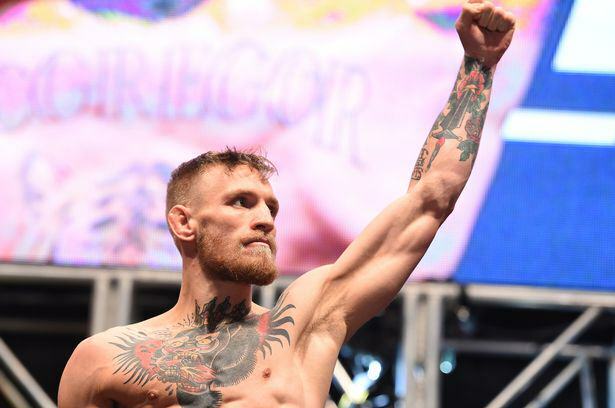 Jose Aldo mimicked McGregor’s famous low stance pose and ‘The Notorious’ Irishman didn’t take too kindly to being mocked, with proceedings threatening to boil over very quickly. As Dana White quickly separated the main event fighters to stop things from escalating, McGregor even flicked out a short leg kick as a warning shot. Fortunately, things didn’t get physical and all that was left was for the two UFC stars to do was deliver one final message for their opponent on the microphone. I’m sick of talking about José. I visualise and I look at his facial features and I know that the soft part of his face won’t be able to take my shots. I just want to thank the Irish people for coming out for me, it means everything. tomorrow night I will bring that gold home for Ireland once again. I don’t care what he [McGregor] has to say, the thing is I’m coming in here tomorrow night and I’m going to be the champion. Aldo and McGregor finally square off for real at UFC 194 tonight – expect them to take to the Octagon between 4am and 5am UK time on Sunday morning. We cannot wait to see these two finally throw down!